about this book: Living in Dallas, Texas during the late nineteen-sixties and seventies, I worked as a legal secretary and part-time for a private detective. It was a time when solving crimes had to be done the old fashion way. In The Rain Man Murders, Detective Mark Wilder meets Sarah Mason, a legal secretary while he is trying to solve three murders, all happening in rain storms. While doing so, he finds out that Sarah is connected to these murders and is being taunted with late night hang-up calls and a peeking Tom. His attraction to her is a real problem because he has to walk a thin line between keeping her as a witness and putting a love relationship on hold. One reviewer says: "N. E. Brown captures the reader's attention and imagination almost as soon as the book is opened. 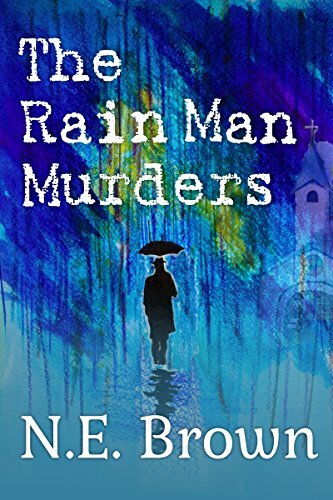 As the forward-moving drama unfolds in each chapter of The Rain Man Murders, it ends in a surprise twist that will leave the reader speechless."